IEMS 7 With New Integrated Anti-Spam Now Shipping! 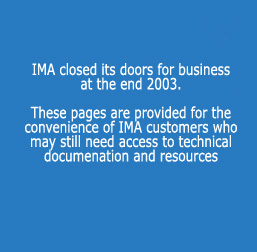 Join an unmoderated discussion list regarding IMA's Internet Exchange Messaging Server software. Ask product questions, get periodic new release and update announcements regarding IEMS. Our stable, scalable, and robust messaging solutions enable our Reseller/System Integrator to meet the needs of their customer today and in the future. NOW IS THE TIME TO SECURE YOUR EMAIL! Let's face it - most "solutions" available today leave the user with an inbox full of spam or with only a fraction of their legitimate email. Neither is acceptable. IEMS 7 is the first server solution to incorporate multiple lines of defense against spam, while at the same time providing the user with control of the entire process. IEMS 7 provides the best defense against spam available today, virtually eliminating spam while protecting normal mail. In addition to being a complete enterprise class messaging solution, IEMS can be used with most anti-virus engines to block harmful content. Free Permanent 75-User licenses (including free lifetime upgrades) are now available for all sites registering with IMA. It's time to secure your email now! The Internet Exchange Messaging Server is a complete distributed, open architecture, Internet messaging system. Internet Exchange for cc:Mail and Internet Exchange for Lotus Notes are standalone Internet gateway products.